Pope Leo X reigned from 1513-1521 and left the papacy in chaos. The treasury was depleted by wars, construction, and personal pleasures. The Pope’s answer was to raise funds through the use of simony. He contrived to sell offices promoted by the local preachers in Germany. An Augustinian monk, Martin Luther, openly voiced his dissatisfaction, even publicly burning the bull that excommunicated him. Leo’s actions came too late, and he was unable to slow the tide of dissent lead by Luther, or enact the reforms of the Fifth Lateran Council. He died of malaria leaving the papal treasury in debt, Italy in chaos, and his successor, Adrian VI, to face the problems engendered during his papacy. The conclave that assembled upon the death of Pope Leo X was met with the papal treasure in serious debt, Italy immersed in political upheaval and the Church in northern Europe embroiled in revolution. Rivalries existed on all sides, both political and ecclesiastical. Cardinal Adrian Florensz Dedal was a compromise candidate who had been acting as a viceroy for the emperor, Charles V.
Born at Utrecht on March 2, 1459, he was raised by his widowed mother with a strong religious foundation. 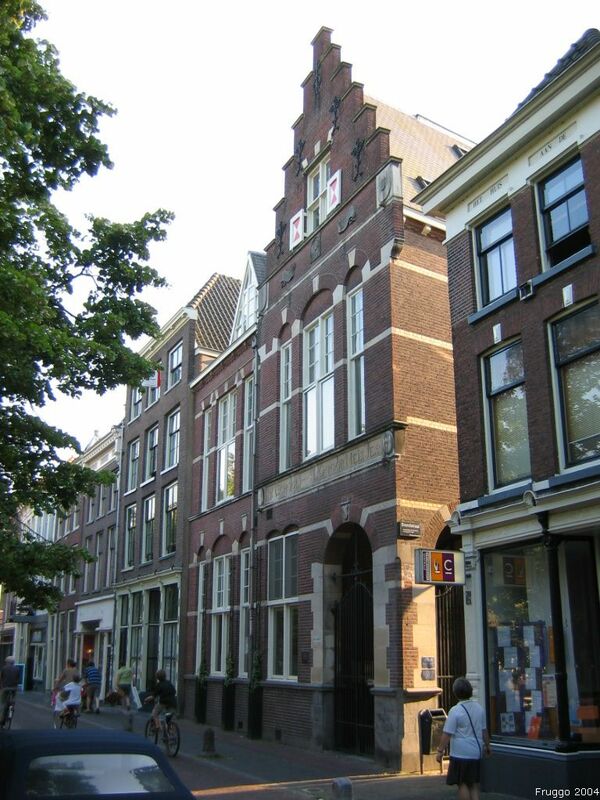 Although poor, he was able to enter the University of Louvain and received a doctorate in theology where he first taught, and then became its rector. In 1497 he was appointed chancellor of the university and remained there for another ten years. In 1507, the Emperor Maximilian I chose him to tutor his grandson, Charles V. This began a long and beneficial relationship with the imperial heir, one which took him to Spain in 1515 to protect the royal rights of his former student. 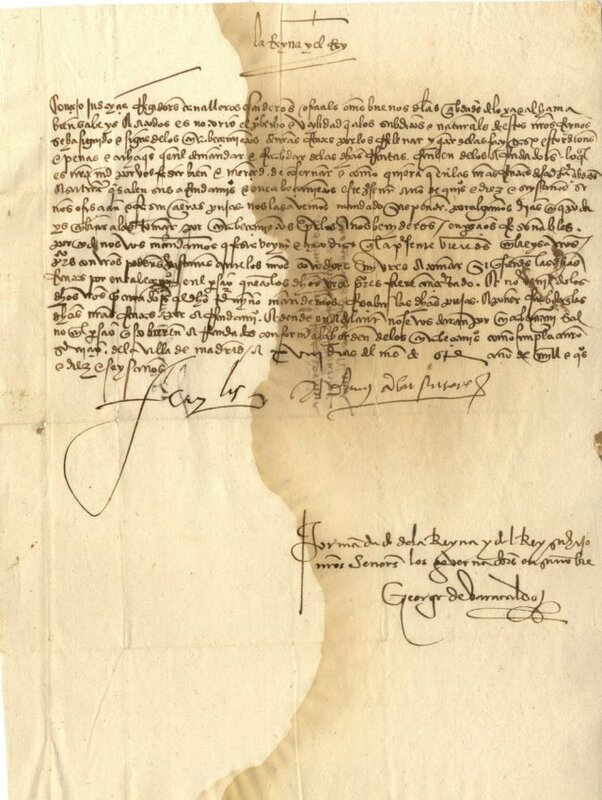 Upon the death of King Ferdinand, he was appointed coregent with the reformer, Cardinal Jimenez, for young Charles. At the same time, he was made bishop of Tortosa and inquisitor for Aragon. 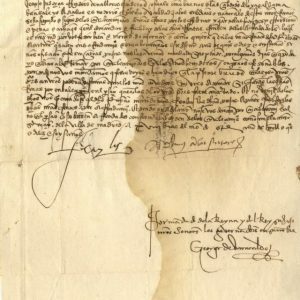 In 1517, Charles repaid his dedicated teacher by asking that he be promoted to cardinal, and at the conclave of 1522, Charles used his influence to assist in his election. Adrian chose to retain his given name. Immediately, the stern theologian let it be known he was not the sovereign’s puppet. He embarked on a program of reformation to replenish the treasury by putting an end to unnecessary spending. Adrian traveled by ship to Rome and arrived in late August and was met with a cool reception. Considered to be not one of them, the Italians resented his lack of interest in the arts. The curia feared cutbacks, and the clergy did everything they could to hamper and estrange him. Before long Hadrian had very few friends upon whom he could rely. Threated by Luther’s revolt, the new Pope set out to eliminate the abuses running rampant among the curia, abuses entirely responsible for Germany’s revolt and the reformation that followed. Despite this, Luther and his ideas interfered with traditional doctrine causing Adrian to condemn him as a heretic. He did not, however, take any defensive action against Lutheranism itself. The new Pope’s good intentions seemed doomed. His efforts to unite the Christians in a crusade failed and the Turks swiftly took Rhodes. 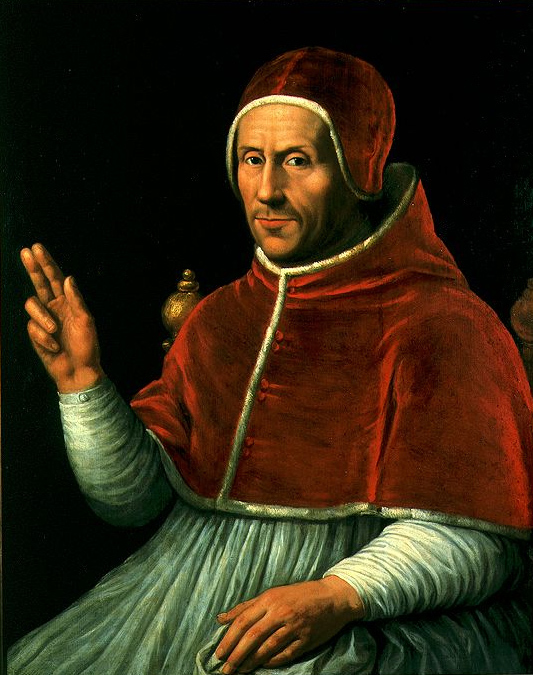 Trying to remain neutral between the Emperor Charles and France, he angered the emperor, and Francis I quickly turned on the pope when he had a cardinal (Soderini) arrested for collaborating with the French. This caused Francis I to sever diplomatic relations and prepare to invade Italy. The Pope was forced into a defensive alliance with England, Austria, and the empire. In less than two years, overcome by frustration and fatigue, the Pope became ill in the summer heat and died on September 14, 1523. 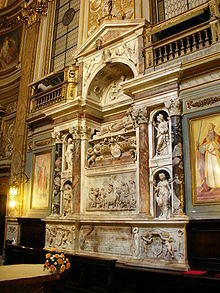 Pope Adrian VI is buried in Santa Maria dell’Anima (English: Our Lady of the Soul). It is a church in central Rome, Italy, just west of the Piazza Navona and near the Santa Maria della Pace church. 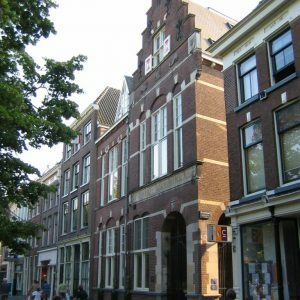 It was founded during the course of the 14th century by Dutch merchants, who at that time belonged to theHoly Roman Empire. Of Dutch origin, it is understandable that Adrian was buried there.